The book that I am going to write about is The Graveyard Book. The Graveyard Book is about a killer that is trying to kill a family, but the toddler escapes. The toddler goes to the graveyard and the people of the graveyard protect him from the killer. His parents are ghosts now. His guardian is between life and death. It’s funny how that he is only allowed in the graveyard but he keeps going out. The WHS Library owns The Graveyard Book. Try it on audio; Neil Gaiman reads and its amazing! I know Greek mythology sounds boring but the first book of the Percy Jackson series opens a whole knew series of fun excitement. 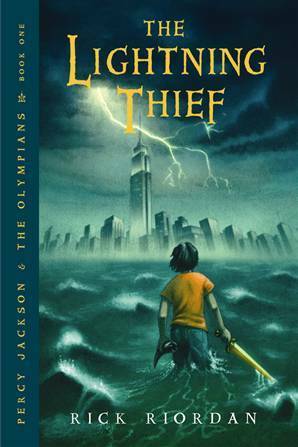 This book along with its sequels are all excellent books written by the cunning author Rick Riordan and the series leaves you dying for more if you like the Harry Potter series you will probably like this series also. I did not think i would like this book until I opened it and started reading it. These are very humorous adventure I love all of them. You should start reading them too. Kaeleigh and Raeanne are sixteen year old identical twins their father is a district court judge and their mother is running for Congress. Their father loves Kaeleigh much more than he loves Raeanne, because of this he has been sexually abusing Kaeleigh since she was nine years old. There mother isn’t around very much; she stays in Washington a lot. Raeanne is always trying to find a way to numb the pain of not being daddy’s favorite. She will take anything she can find, pills from her father to wine from their wine cabinet. Kaeleigh is always trying to find a way to feel something she will do anything from cutting or making herself throw up after a binge. I liked this book because this could happen to any family, even the district court judges family or the family of a congress woman. I like the way the Ellen Hopkins writes her books. I recommend this book to any high school student who is looking to read a very good book with an ending that will blow your mind. 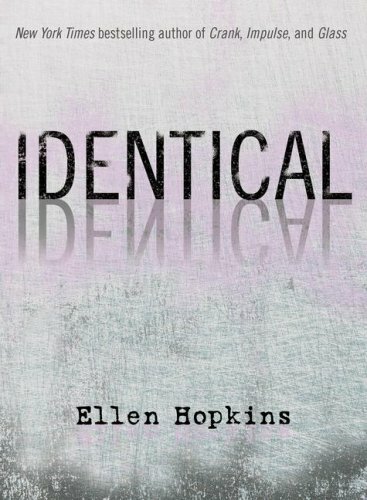 The WHS Library has Identical and many other books by Ellen Hopkins.